Most programs promote their activities in a general way. Few have action plans to capture their know-how and package it into products and services that can benefit many users beyond the project scope. 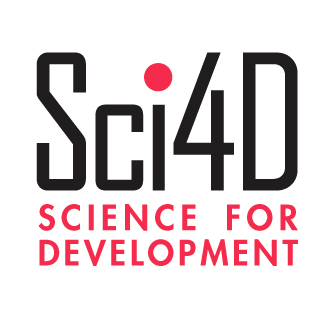 Sci4D helps you get your results and expertise into use - delivering practical information to decision makers, development agencies, and local actors. Typically, EU, UN, and development programs report on progress against their result frameworks. Most have communication strategies. These focus on promoting the project's progress and achievements to donors and partners. Capacity building or training plans only benefit those directly involved in the project. Activities are also linked to project and funding cycles. So all learning and scaling-out of results stops when the project ends. Few programs have longer-term plans to capture program knowledge and expertise for sharing with a wider group of users. Reviewing a body of program results to pinpoint transferrable know-how and transform it into products that decision makers can use. Policy synthesis products to engage and influence senior decision makers on the benefits of a concept, technology, or investment option. Scenarios and examples - presented as case studies or interventions; targeted briefings; return on investment scenarios; interpretations of data; or examples of successful practices and policies. Building your team's skills to create useful information products and services to move know-how into wider use, including one-week live review and synthesis sessions to review, package, and publish project results. Improving information management: advice and strategies to organize and promote information for maximum use on the web. This includes: processes and responsibilities for information capture; slected practical and low-cost information platforms; and Open Access strategies (data and metadata harvesting).